You got duped. It happens to me all the time when I post from my phone. Glitchy program. Dan and James will be on the Today Show this morning and Dan will also be doing the Live with Kelly and Michael show too. 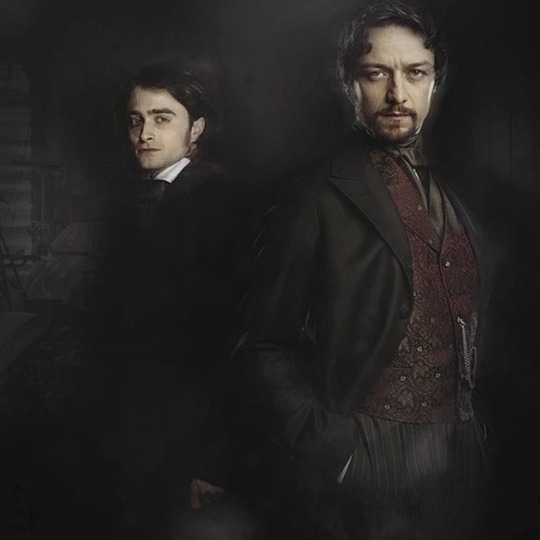 Daniel Radcliffe and James McAvoy are taking over our Snapchat account on Monday. Tweet us some THIS or THAT questions to ask the duo! Tweet us some THIS or THAT questions to ask the duo! Daniel Radcliffe and James McAvoy LIVE on AOL BUILD - AOL On Really great interview btw. The French 20th Century Fox twitter account is posting video responses from Dan and James while they're playing with Playdoh and Operation! I know the New York Premier was last night but does anyone know if there is going to be a LA one? Not sure. As of today it hasn't been announced. It could happen just like the new york one did as a "screening". I expect the UK one to be bigger. So....I got to go to the screening / premiere last night. It was so strange because my sister got an email inviting her to what was billed as a screening. I thought maybe Dan would show up because of him being in NYC, but wasn't certain. Sis and I were toward the beginning of the line and we ended up getting a bracelet for a "fan event." Turns out it was to watch Dan & James & the director do the red carpet. After, because seats were assigned, we were in the second row for the film. Dan & James & the director introduced it to us. I liked the movie a lot. It was stuck pretty close to the script I read 2? years ago. Not much changed. All the performances were good. James was totally having fun with the role. There were a lot of funny parts & I enjoyed the chemistry between Dan & James. While Dan was signing my poster, we were talking about how we saw him on Broadway. He responded he hopes to go back in the next couple of years. That's so awesome!!! Glad you enjoyed the movie and yeah hope it does get to back to broadway. GAH YOU'VE ALREADY SEEN THE FILM!?!?!?! Perks of living in NYC I guess. Glad you liked it and its good.